Someone should really help me stop buying neutrals. I seriously have a problem. I saw this beanie at Target and literally picked up my pace to get to it so I guess you could call that love at first sight? It's my favy color, it has sparkles and a pom. So I mean... need I say more? I also purchased this one and this one recently. You know who else has cheap beanie's? Forever21! And in so many colors! This one is everything! It's obvious I'm a neutral loving freak, but seriously white in the Winter is just so clean and pretty. I bought this sweater when they had their 60% off sale, but if you don't want to pay full price sign up for their emails and watch for the 50% of sale. They have them frequently and that's when I stock up! This is another really great neutral color. I ended up purchasing this sweater too (on sale for $14) because pastels are another favorite of mine in the Winter and that can easily be transitioned into my Spring wardrobe. I'm going to take a break for the rest of the week to really enjoy the holiday. We can still hangout via Instagram and Snapchat (themoderntulip). 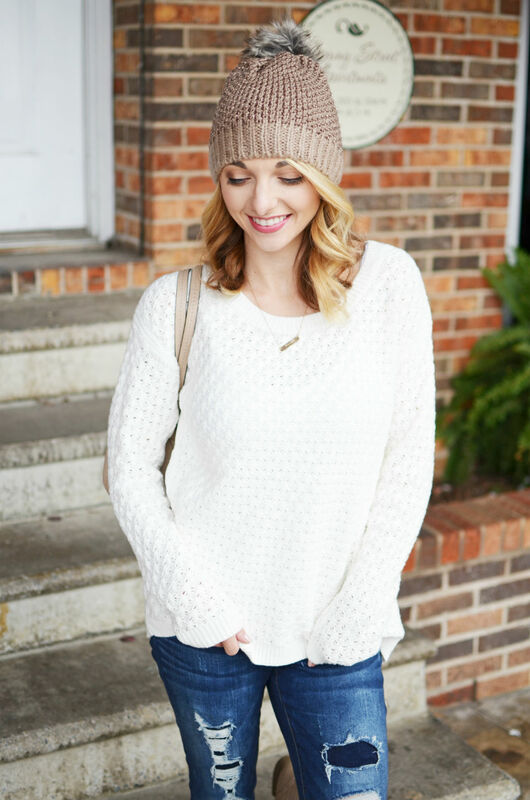 7 comments on "Winter White"
Loving this super cozy look! Target beanies (and winter accessories in general) have been nailing it this year!! Now, if it would only get cold in Southern Indiana!! I love this whole outfit..so cozy! Merry Christmas, I hope you have a wonderful holiday:) I love the beanie, I have never been one for hats/beanies before but I may have to give into that trend because theres so many nice ones about! 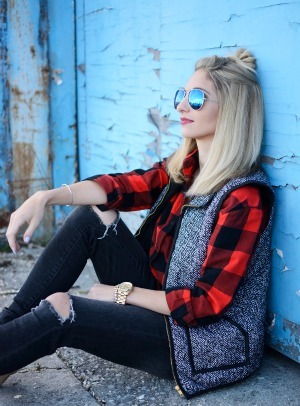 Love this outfit - it's perfect for winter! I hope that you had a wonderful Christmas, friend!